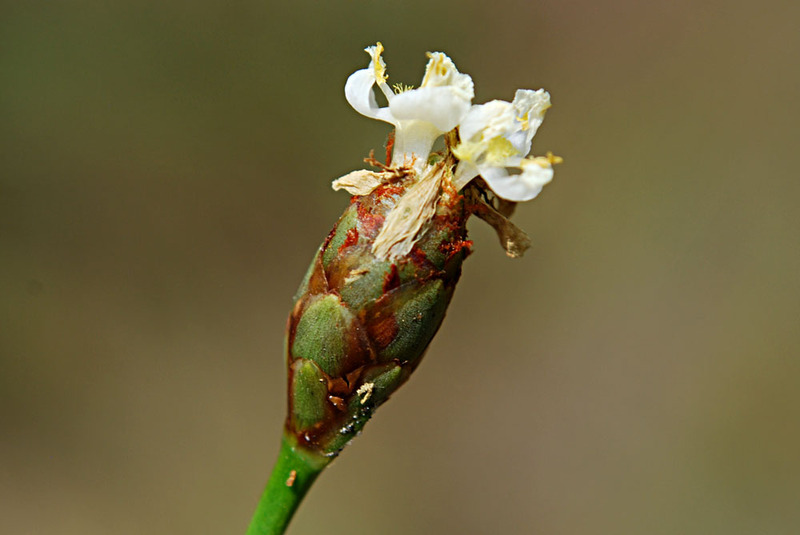 Goals for this visit were to investigate rose-rush seed heads and try to get better close-ups of various small flowers. On the previous outing, it was very windy and there was a cloud cover part of the time. The result was a slow shutter speed and a lot of blurry photos. On this day the sky was bright and sunny (3:00 p.m.) and it was fairly calm. 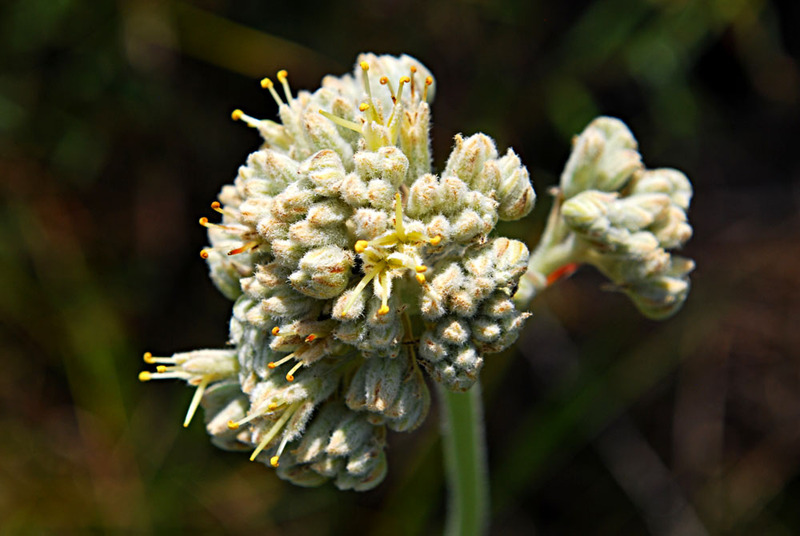 I had also intended to take more photos of lesser Florida spurge and Florida milkweed (both endemics), which I had found on the previous visit. However, I could not find them this time. I may have to start tying ribbons around trees to mark the location of uncommon plants! This is an area where rose-rush can always be found. No full-open blooms today, though. 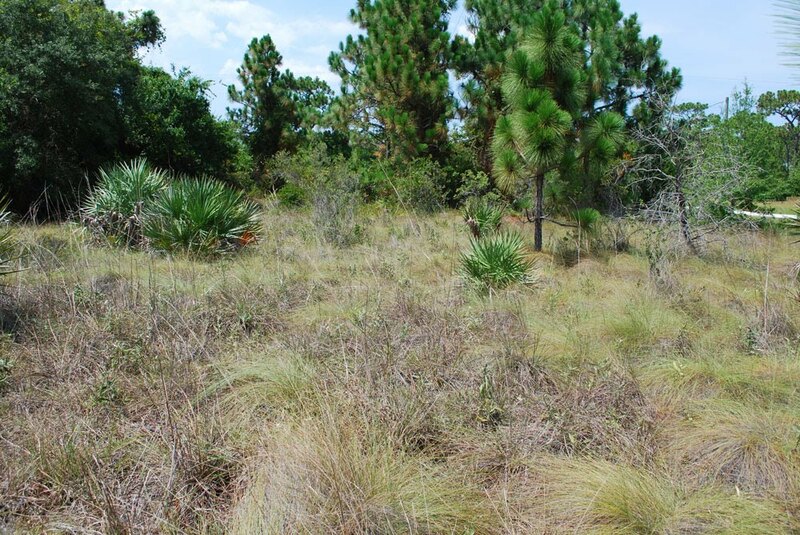 This small open space, dominated by wiregrass, is immediately to the west of the road into the youth camping area. 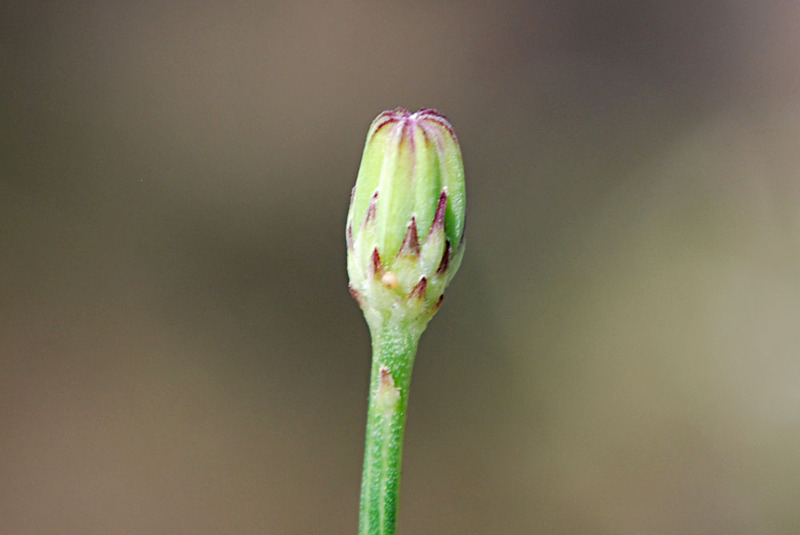 Left: Flower bud about to open. Right: Opening flower. Center: Seed head with only a few seeds left. Each "parachute" is attached to a single seed, rather than to a capsule holding many seeds, as I had previously thought. 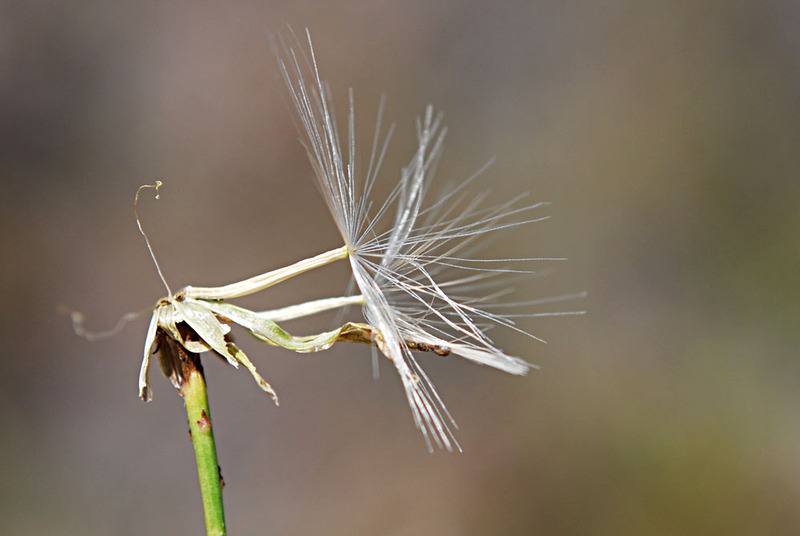 Most of the seeds have already flown away in this specimen. I found some seed heads that had not formed seeds--only bristles. Apparently this is normal. Only one blossom was open. Looks like the blooming season of these trees is about over. The word "loblolly," by the way, originally denoted thick porridge. In the southern U.S., the word is used to mean "a mudhole; a mire." 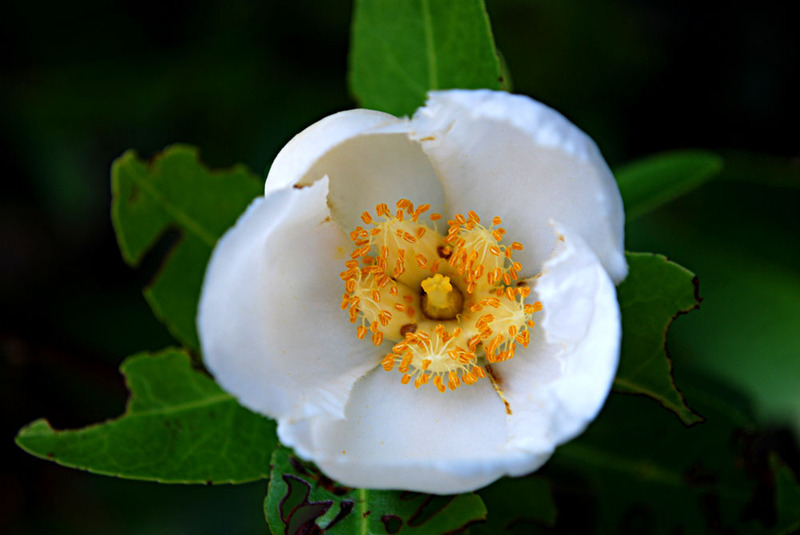 The name has become associated with several varieties of trees, all of which favor wet bottomlands or swamps. 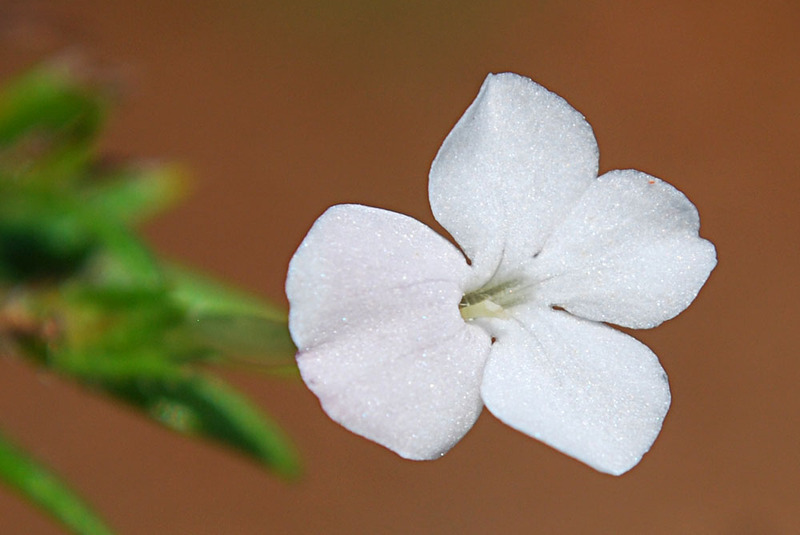 I finally got a decent close-up photo of this common, tiny flower; it's found in grassy areas. 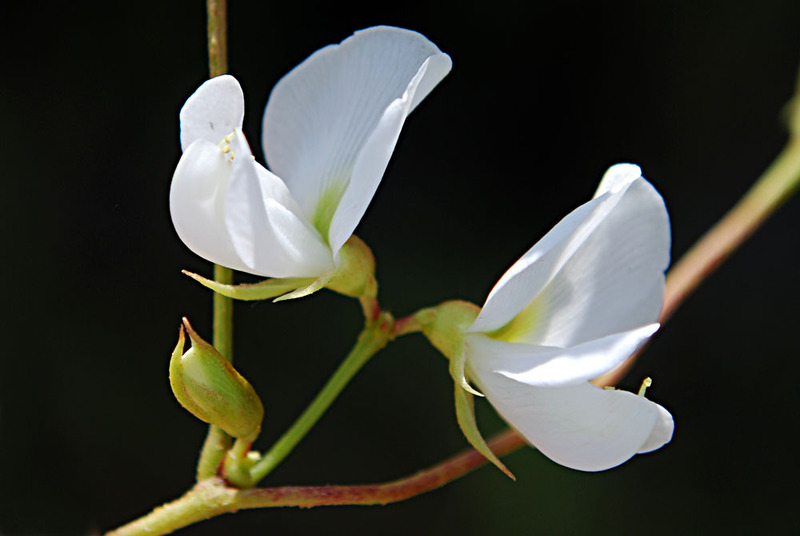 The flower is asymmetric; one petal is larger than the others. 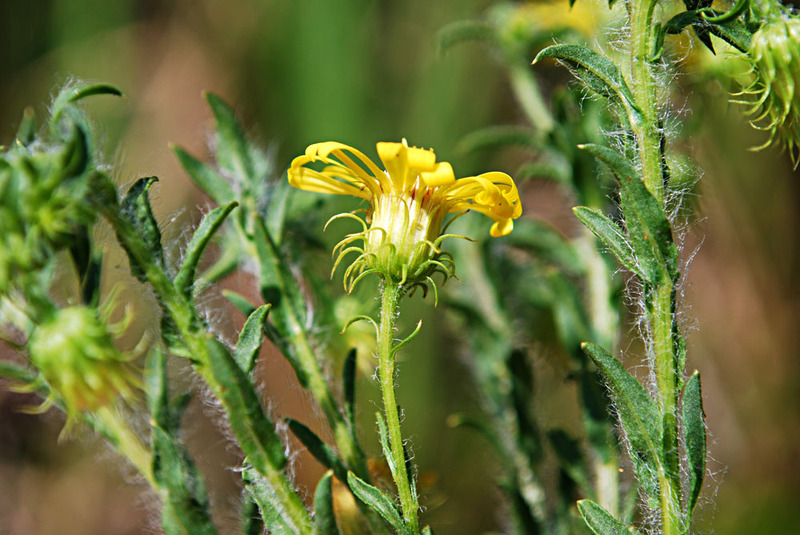 An even smaller flower; rustweed is widespread in the park. A few of these wildflowers were growing in the ditch on the west side of the road into the youth camping area. They are found in wet areas, although with the recent drought, there aren't many wet places lately. I've recently read that redroot blossoms are a favorite food of sandhill cranes. Due to the drought, the large clump of blue mistflower that grows in the ditch was looking pretty distressed on this day. W.K. 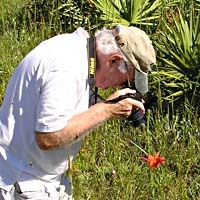 Taylor mentions in his book, The Guide to Florida Wildflowers, the difficulty of faithfully capturing the color of many blue wildflowers in photographs, including this one. 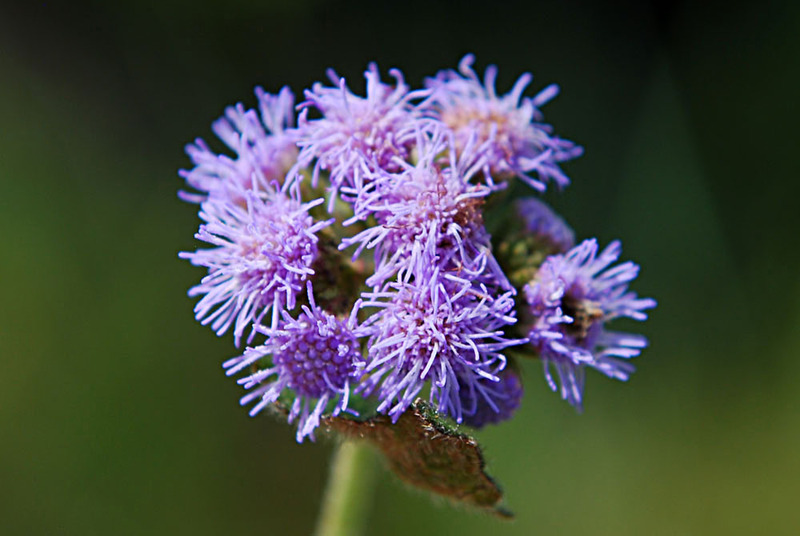 He says it is known as the "ageratum" effect (ageratum is one of the common names of mistflower). The color usually shows in photos as having a pinkish cast. 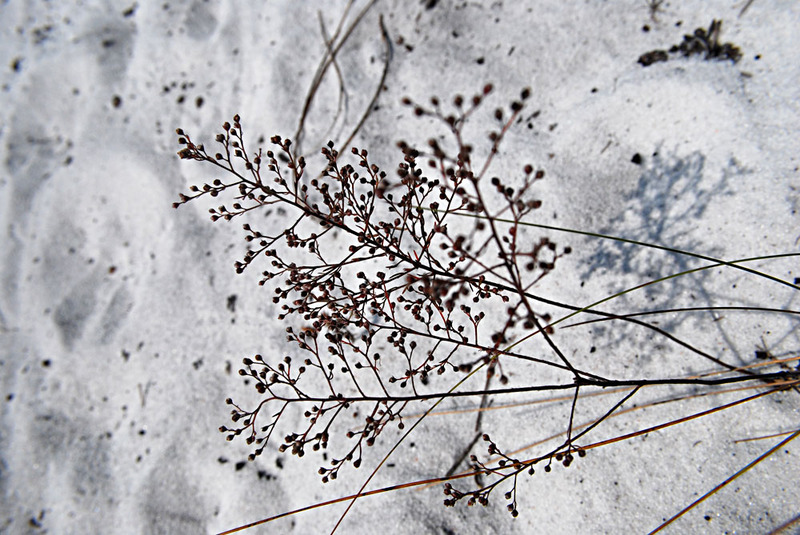 The tarflower blooming season is over; the plants now bear sticky seed heads. 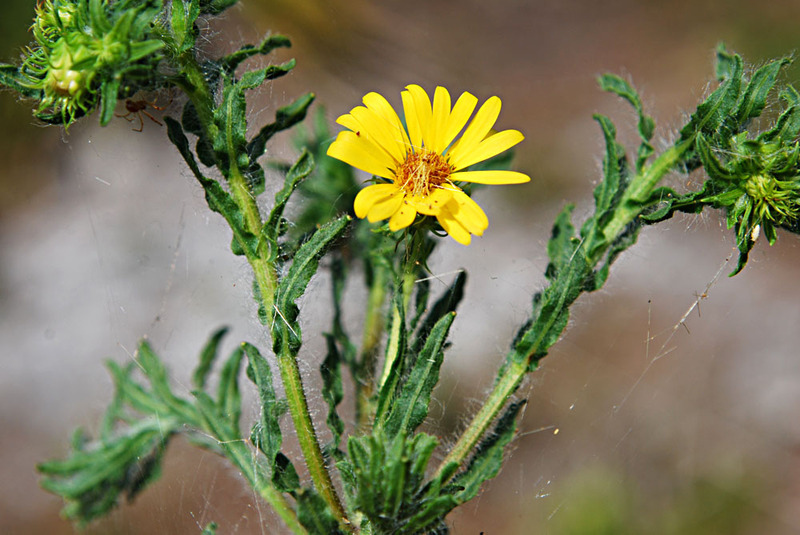 This photo shows a bristly stem. On my next visit, I need to look closer; the stems of X. caroliniana are twisted. 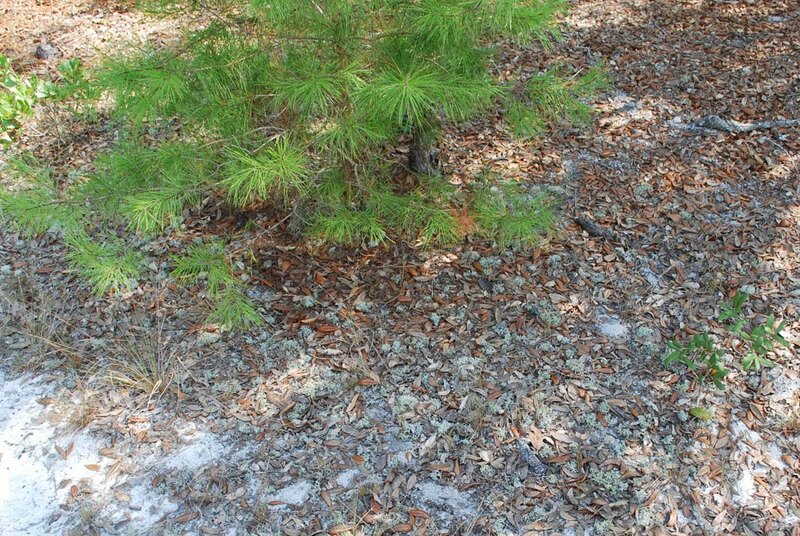 Widespread in dry, sandy areas of the park. 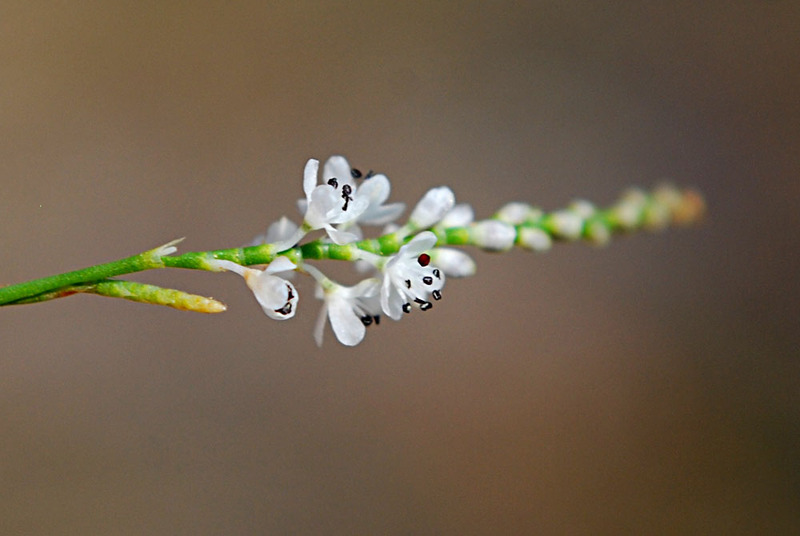 Due to the drought, the flower heads of this plant were droopy today. 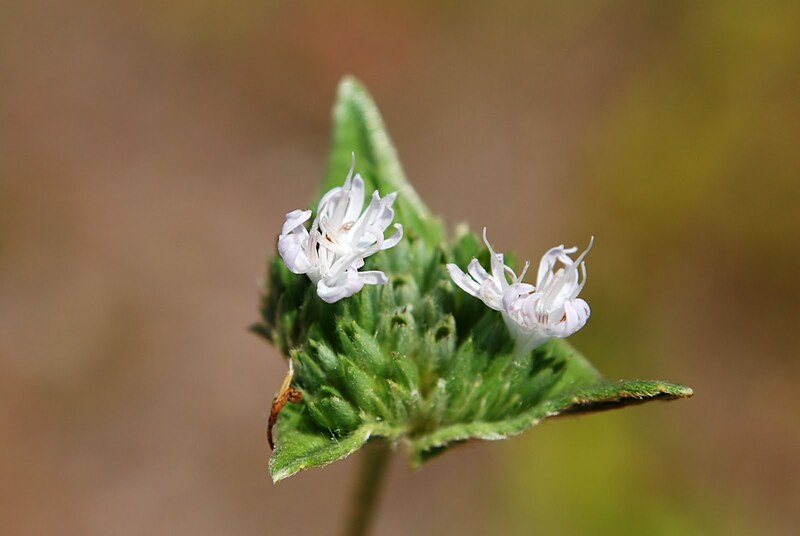 Note the characteristic triangular shape of the flower heads. 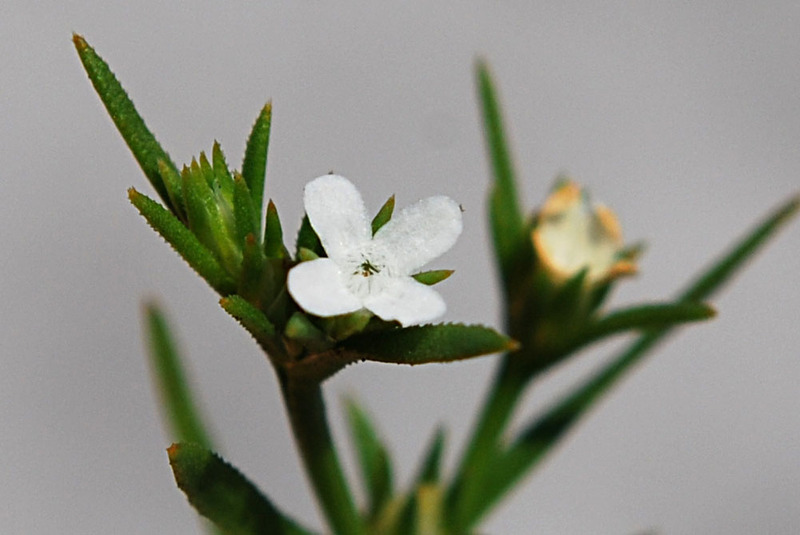 I'm still trying to confirm that I have correctly identified this widespread plant. It seems more hairy than the books say and online photos show. 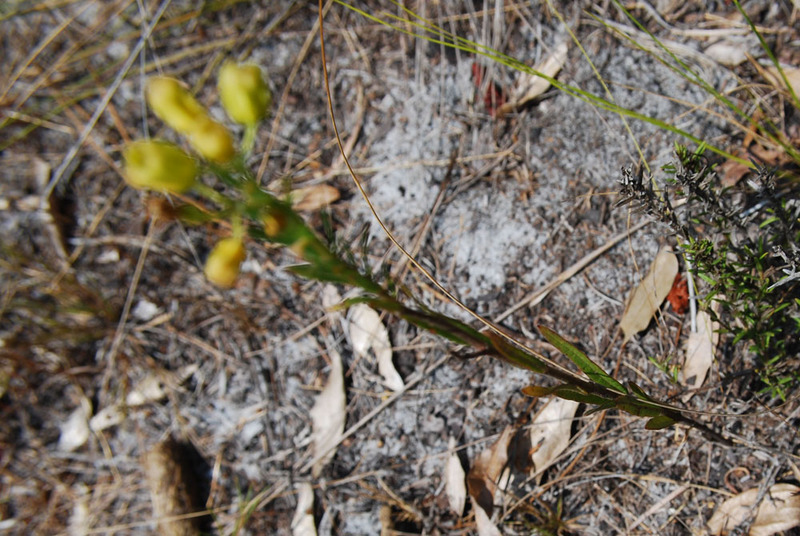 The plant in the center photo has been littered with the bristles from passing flights of rose-rush parachute seeds. 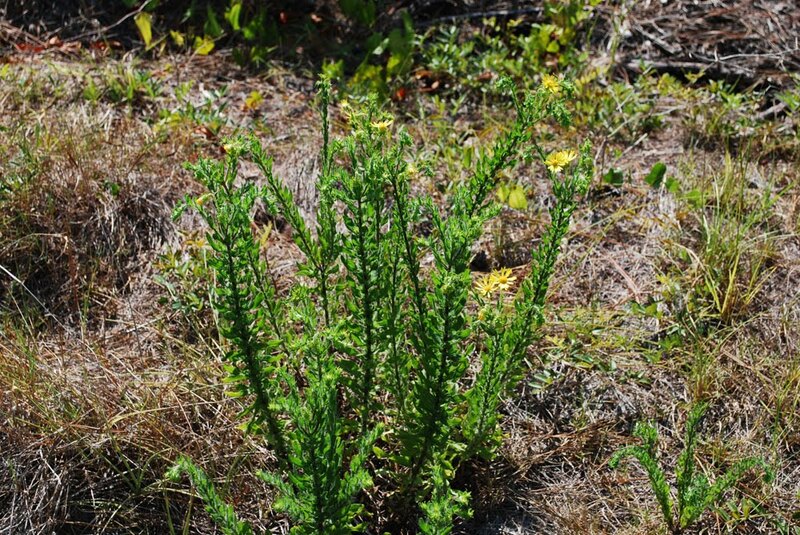 Common in sandy areas of the pine flatwoods on the northeast corner of the park. 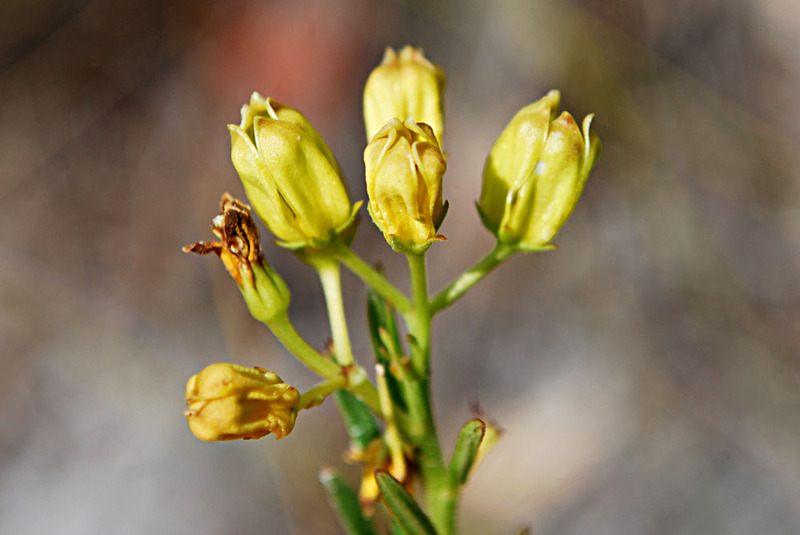 This species can be reliably found in sandy areas on the northeast corner of the park. 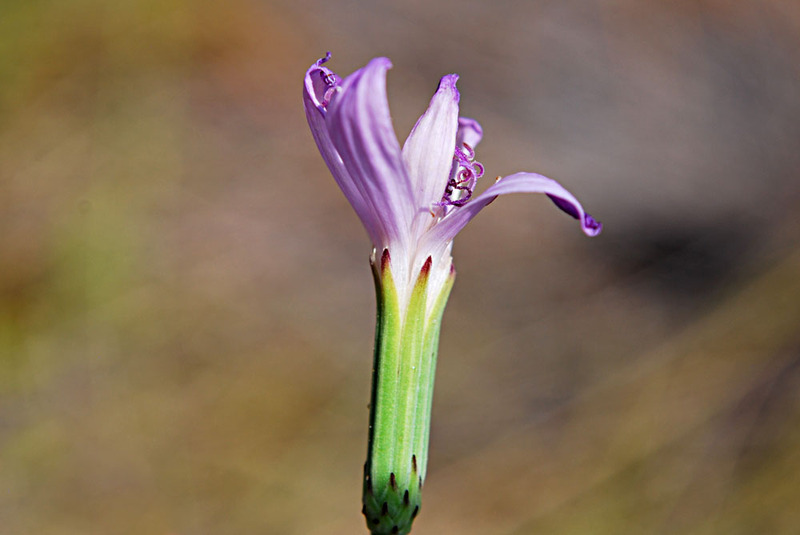 I assume the name comes from the round-headed pin shape of the flower heads and stems. This is a difficult plant to find. I've found only two specimens this year. 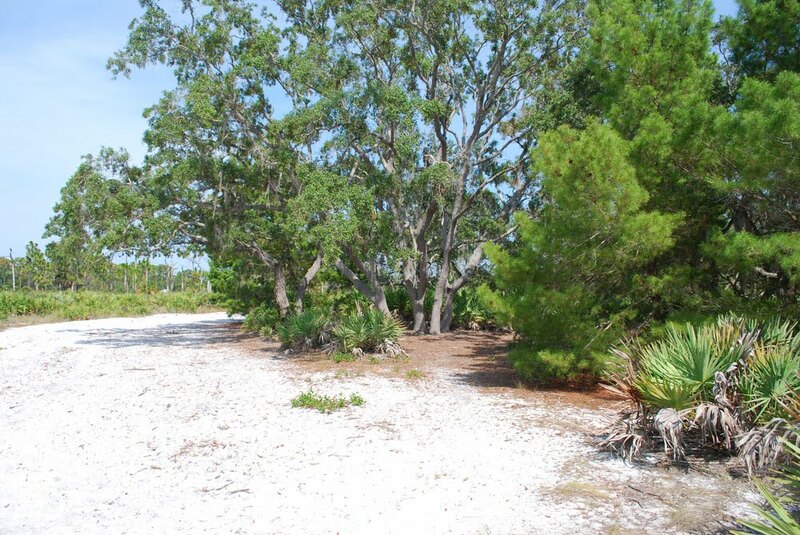 Views of the sand live oak/sand pine/rosemary community located in the northeast corner of the park. 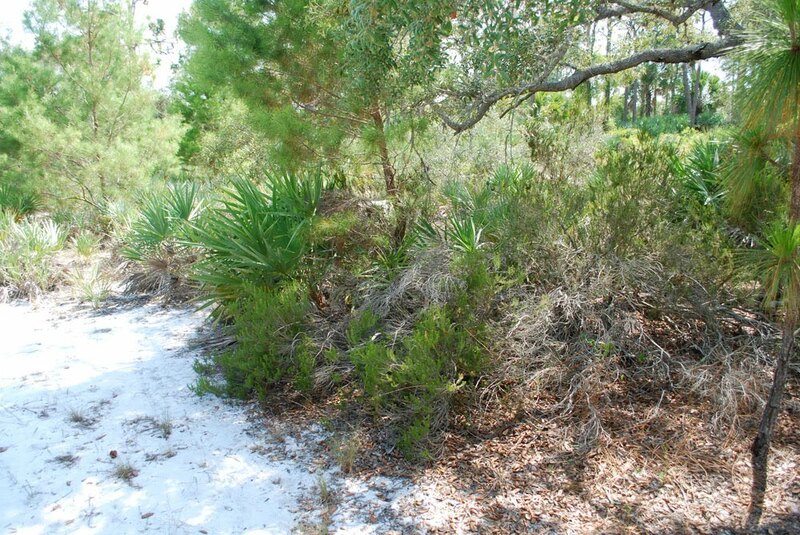 Left: sand pines and sand live oaks. Right: rosemary. Center: sand pine and reindeer "moss" (lichen).